Ugh. No thanks. We don't need no stinkin' "peace plan". To think the choice came down to Gorka/Bannon or Jared/Ivanka. May God protect and defend Israel. Do you think they put Obama’s peace plan in quotes like that? Yes, i think ‘peace plans’ are meaningless going back to the 70s. However, this time there are big differences. The recognition of Jerusalem and the annexation of the Golan Heights are game changers, but the top Israelis know that they will never get agreement on any plan that comes forward, so they will accept it and push it in the faces of the muslims for the next however long Bibi is in office. 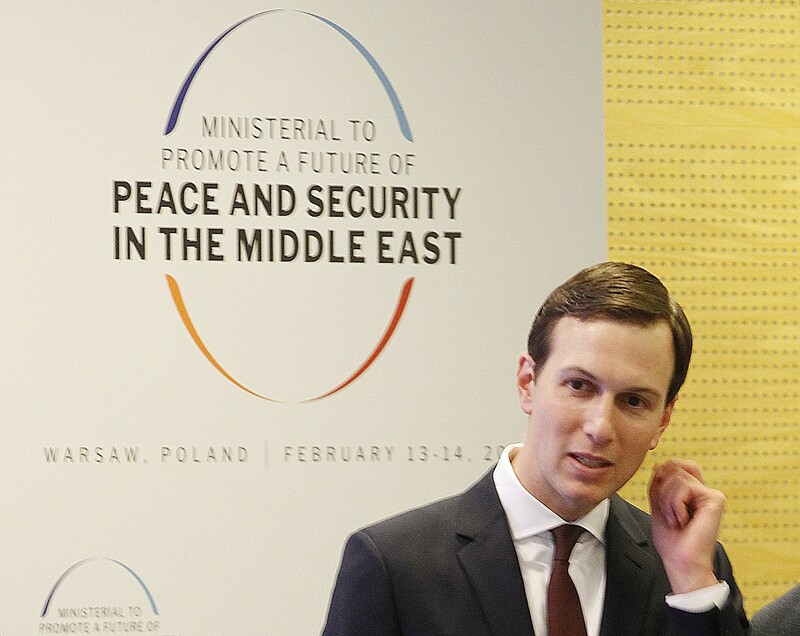 Meanwhile, Kushner looks like hes working on something relatively ‘harmless’ as peace, though oxymoronic, is a good way to keep the the children coloring at the kiddie table. Trump was elected to build a wall. Nobody was elected for some Prince Javanka’s 5 year plan. Our rulers are always making plans for us. Got to have a reason to spend other people’s money. Shelve the peace plan. What a waste of time. Better to have Jarvanka working on some Israel “peace plan” than disrupting the MAGA agenda. Netanyahu will veto it if it endangers Israel. I hope whatever ideas he has bear some fruit. I don’t know much of the man or his qualifications for such an endeavor. I don’t blame anyone for trying, but I suspect there’s no such thing as peace as long as Palestinians continue to insist on the elimination of Israel. Right. Unless there are major land and monetary concessions by Bibi, the Palis will not agree to any of it, no matter what they might have told javanka in private. Trouble is, now the the plan is about to unfold, what will javanka focus on next? There was never any doubt here as to the final pick. How many “peace plans” does this make? I was half hoping Mueller would charge them with something to keep them occupied with their legal defence. Well this should be good for a laugh. So between the above not being anywhere close to happening, and Israel desperately needing to maintain militarily defensible borders, I see little chance of true peace. Fear not. We know how it ends. Look up!